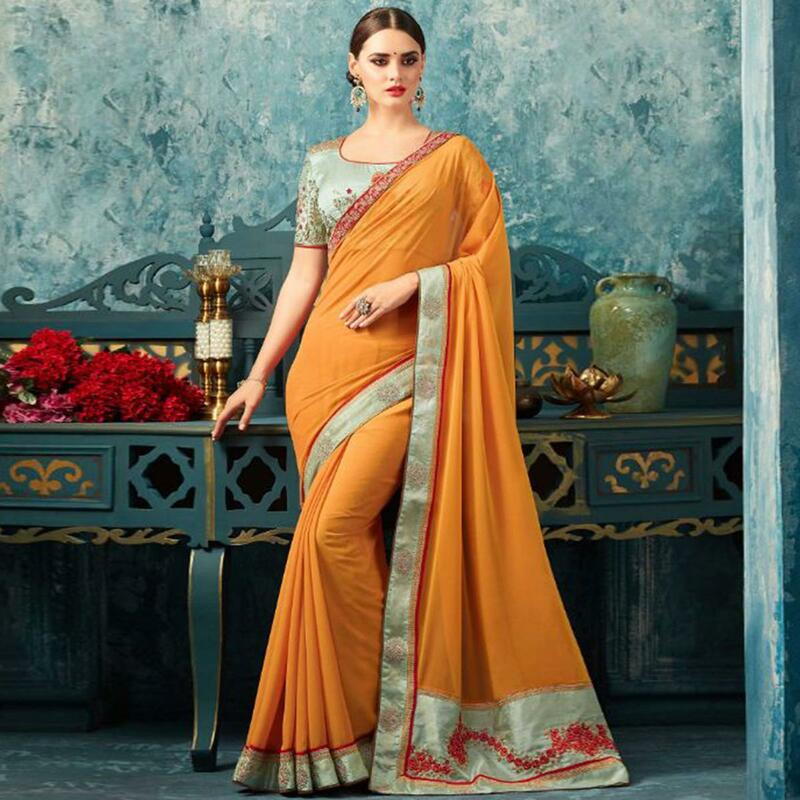 Grab the second look in this exceptional yellow colored partywear saree. 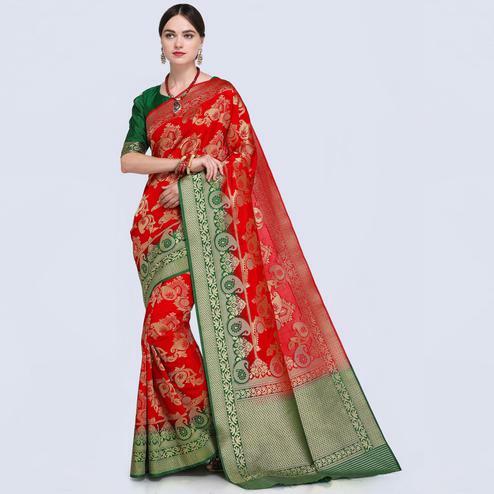 The saree is made of georgette fabric stylised with beautiful embroidery work which is not only looks good but it's also comfortable to wear all day long. 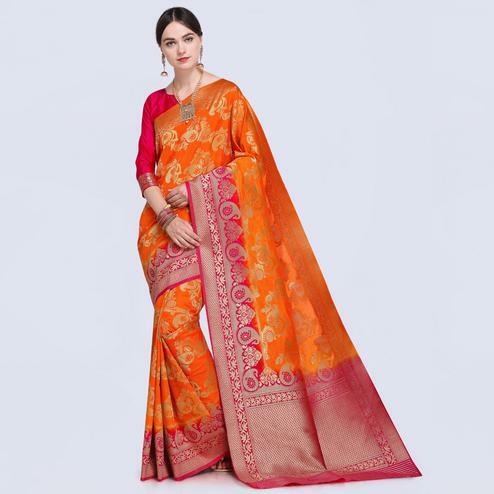 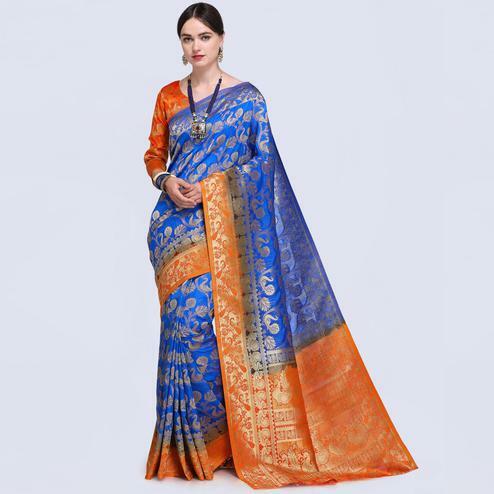 Saree comes along with unstitched embroidered banglori silk blouse piece which can be stitched as shown or as per your requirement. 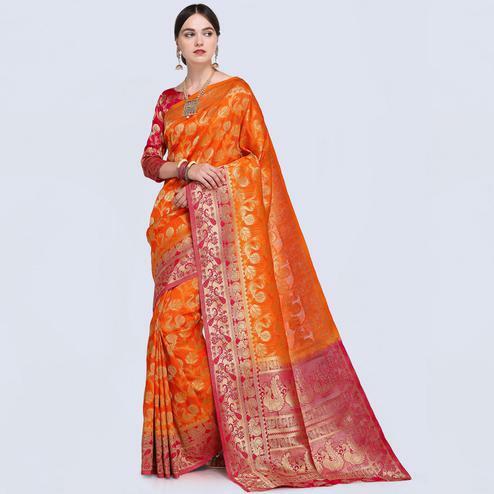 This saree would surely attract you showers of compliments when you wear it for parties, weddings, functions or occasions. 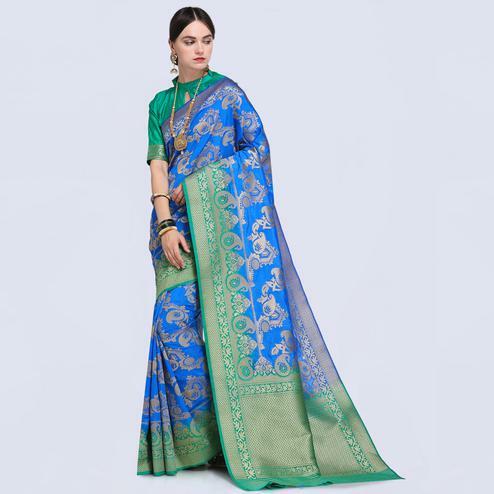 Style it with right accessories for that complete ethnic look.